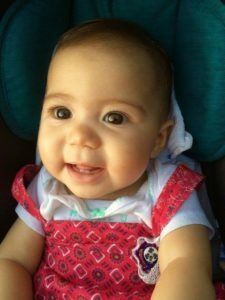 There is a common belief that if a baby gets a cavity, parents should not get that cavity treated with a filling because baby teeth fall out anyway. However, there is quite a bit of information out there that says otherwise. Check out the facts below to answer the question about whether you should fill your child’s baby teeth if they get a cavity. The surprising fact is, cavities in children are not that uncommon. By age 5, about 60 percent of U.S. children will have experienced tooth decay, according to the “State of Little Teeth Report,” a 2014 American Academy of Pediatric Dentistry document based on a survey of 1,000 parents. This report found that the rate of cavities in children 2 to 5 years old increased almost 17 percent from 1988-1994 to 1999-2004. While that doesn’t change the fact that if your child gets a cavity, rest assured it’s not nearly as uncommon as one might think. The first fact every parent should understand is this: baby teeth ARE important! So many parents believe that since baby teeth are going to fall out eventually anyway, they’re not as important, and any issues with baby teeth don’t need the same treatment as permanent teeth because they’ll be gone soon anyway. While it’s correct baby teeth do fall out eventually, they’re still very important while they are in your child’s mouth. They help them chew food of course, but they also provide the needed space for permanent teeth and help guide those permanent teeth into position. They also help with proper muscle development and top and bottom jaw development. It’s imperative to keep those baby teeth healthy! Should baby teeth get filled or not? Even after considering all the information above, parents still wonder if filling a cavity is necessary, or are there perhaps other options to consider. The answer is yes, in many cases, baby teeth should be filled if they get cavities. In addition to permanent teeth positioning, muscle and facial development, untreated decay in baby teeth can lead to pain, speech impairment, and can potentially damage permanent teeth or cause them to grow in crooked. In many cases, the best treatment is to fill a baby tooth just as you would if a permanent tooth had a cavity. A pediatric dentist will be able to advise you if getting your child’s baby teeth filled makes sense. So when would it not make sense to get a cavity? Well, consider how long that child will have that tooth and decide if it makes sense. A primary molar in a 6-year-old is a problem that needs to be addressed by filling the cavity, while an incisor may not be if it’s loose, wiggly and about to come out soon anyway. If a decayed tooth is about to fall out, then it is unnecessary to fill that tooth. Again, a pediatric dentist is best to advise whether a filling is necessary or not. They may also look at how big the cavity is. There are situations when a cavity is so small that it can repair itself by practicing proper home care and eating a healthy diet. Dealing with baby teeth can be confusing for parents. If you find your child gets a cavity in one of their baby teeth, seek out the advice of your pediatric dentist as to what the best option for treatment is so that you can make an informed decision and protect your child’s oral health overall.